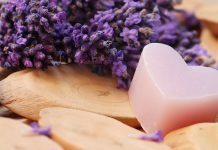 Home Soap What is the role of essential oils in handmade soap? 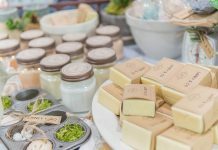 Natural handmade soap contains only sodium salts of oils, vegetable oils, water, essential oils, herbal extracts, clay, and various parts of dry plants. There shouldn’t be any other ingredients. All other salts are additives to reduce the cost of production and extend the shelf life of soap, usually synthetic. Natural oils have a complex effect. Olive oil is a source of vitamins A, D, E. It moisturizes, nourishes, disinfects sensitive skin and provides a rejuvenating effect. Jojoba oil is a valuable source of vitamin E and has antioxidant properties. It can smooth wrinkles, create a rejuvenating effect and help to fight acne and irritation. Grape seed oil contains unsaturated acids and natural antioxidants (vitamins A, E). It helps to eliminate shine, irritation and slows down aging. Apricot kernel oil contains vitamins A, B, C, magnesium and potassium salts, as well as polyunsaturated fatty acids. It softens, moisturizes, restores the skin, and makes it supple and smooth. Almond oil has a rich composition with a high content of proteins, amino acids and vitamins of group B. Such oil helps to soften, moisturize and maintain the pH balance of the skin. Previous articleHandmade Soap mask is a real find for face care. 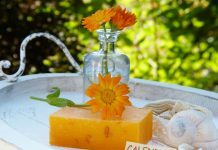 Next articleHow to choose a good handmade soap?